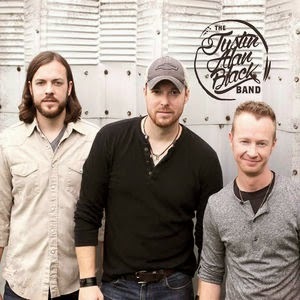 The Justin Alan Black Band's self-titled debut is a revelation of precise musical restraint, more than competent songwriting and top quality vocals - all rare qualities for an up-and-coming, new country band. First of all, there is no one in the band named "Justin Alan Black" - the band's name is a blend of the names of all three bandmates, which include lead singer Patrick Justin Collum, Josh Alan Casey and Micah (Black) Farrer. The boys all attended school together at Pepperell High School in Lindale, Georgia - a city with a population of about 4,000 in the 2000 census and located near Rome, Georgia in the foothills of the Appalachian Mountains. The long move to Nashville marked a turning point in the three boys' lives as they uprooted to pursue their passion for music. And everyone knows that there is nothing more country than three friends from the foothills of Georgia packing up and moving to Tennessee.